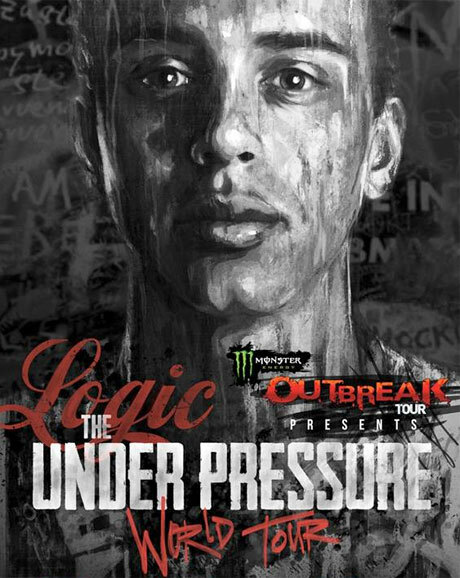 Logic Announces "Under Pressure World Tour"
Logic has been hyping up his "Under Pressure World Tour" like crazy on Twitter, and now the hotly tipped rapper has shared the full details of the 2015 trek. The tour will find the MC travelling around the continent for the better part of two months from late January to mid-March. In that time, he'll play a heap of U.S. gigs, plus three Canadian shows: Vancouver on February 6, then back-to-back nights in Toronto on March 10 and 11. Tickets are slated to go on sale December 5. Come the early spring, Logic will then head across the pond for some European shows. See the full schedule below. Of course, these shows are in support of Logic's debut album Under Pressure, which earned Exclaim! 's Mark of Excellence. Read our recent interview with the rapper right here.